I can't believe it's exactly a year ago since I filmed Jenny and Darren's wedding at The Hoste Arms in Burnham Market. It was lovely to be back in North Norfolk again as this is an area I know well having grown up in nearby Norwich. Jenny and Darren chose The Hoste after visiting on a weekend break and it served as the perfect location for their intimate summer wedding by the coast. During the day I was accompanied by acclaimed Norfolk photographer Rob Dodsworth, you can see his images from the day here. Whilst Jenny and Darren prepared for their nuptials in the bridal suite and nearby Railway cottages, I was able to prepare my camera equipment ready for the ceremony in the outside courtyard where I was able to subtly position microphones and two cameras at the rear to compliment my main camera I used at the front. After the ceremony in front of their friends and family, the couple were surprised by the arrival of a chimney sweep! I later found out that this is a 200 year old tradition and is a symbol of good luck on your wedding day. After the drinks reception, guests enjoyed a wedding breakfast in the Garden Room consisting of locally sourced Norfolk produce. As the sun set, the guests gathered outside for sparklers which was the perfect finale to Jenny & Darren's wedding film in Norfolk. It was a pleasure working with Jenny and Darren and I'd like to wish them a very happy first wedding anniversary. You can see their review and wedding film at The Hoste below. 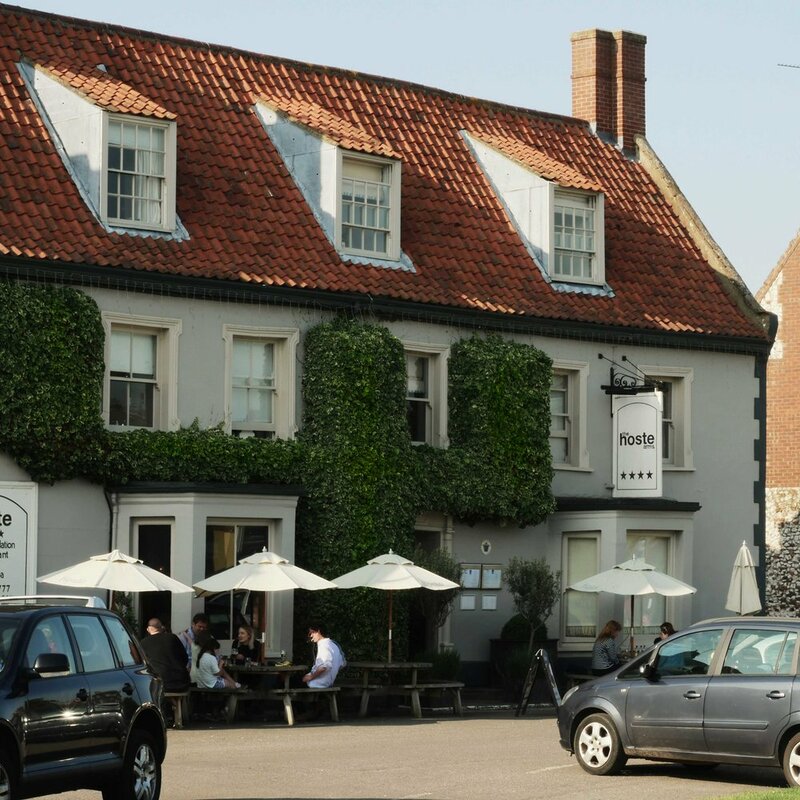 Jenny and Darren's wedding video at The Hoste, Burnham Market, Norfolk. As a wedding videographer I cover many areas of central, southern and eastern England and regularly provide wedding films in Norfolk, Suffolk and Essex.